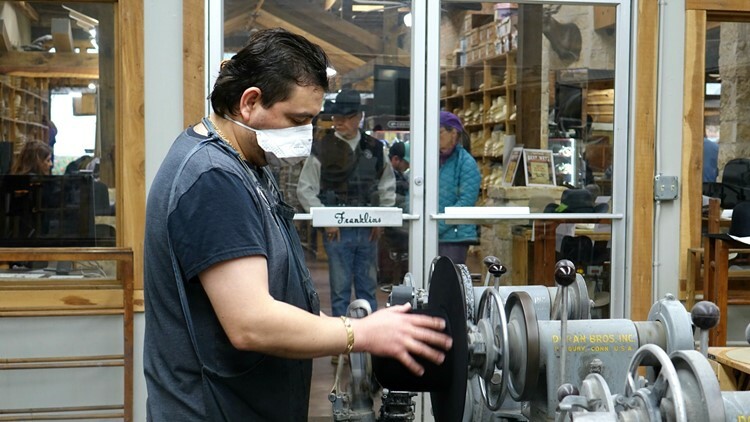 For nearly four decades, the Catalena Family has made premium hats meant to last a lifetime. Surrounded by hundreds of hats, Travis Catalena stands behind a polished wood counter, crouched over a spout spewing steam. The longtime hatter dangles a cream-colored felt hat above the steam, pausing frequently to bend and crease its brim. 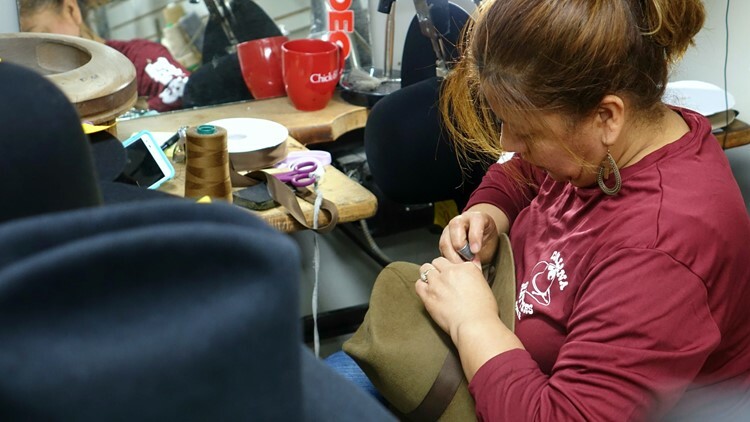 “You can buy a good hat but if it doesn’t look right or fit right, your not going to wear it,” Catalena says, his trained hands expertly shaping the custom-made hat left in his care. Here, in his family’s generations-old shop, Catalena Hatters, nestled in the heart of Downtown Bryan, Catalena and his family have carved out a niche shaping and selling premium hats meant to last a lifetime. For nearly 37 years, celebrities and farmers alike have flocked to the shop to buy the hats they’ll likely wear for decades. Catalena’s parents, Sammy and Carolyn Catalena, opened up shop in October 1983. The couple quickly overcame the hardships of opening a new business to become one of the state’s premiere hat shops. For Catalena and his younger brother Scott, taking up the family trade was a given. Catalena said it was in their blood, it was all they knew. Catalena’s love for the craft took shape early on. He spent his childhood in his parent’s workshop, learning to make hats. “I became pretty much a natural at it I guess and it took off from there,” Catalena said. Now, people from all over the world seek out the services of Catalena and his brother. The Catalena family has made custom hats for songwriter Willie Nelson, musician Neal McCoy, comedian Rodney Carrington and even a bull-riding monkey. “It really means a lot because our last name is in the hat so we try to make it the best that we can,” Catalena said. Catalena said hat making is a dying art but as long Catalena Hatters is around, the craft will live on.